In the early 17th century the Korfi family built a manor in its current place. In the 19th century, by the order of Mihaels Veisenhofs, the manor was reconstructed. The patroness Jevgēnija Kerbedza used the building as a residence for authors and artists. The park and household buildings can be viewed by the manor. 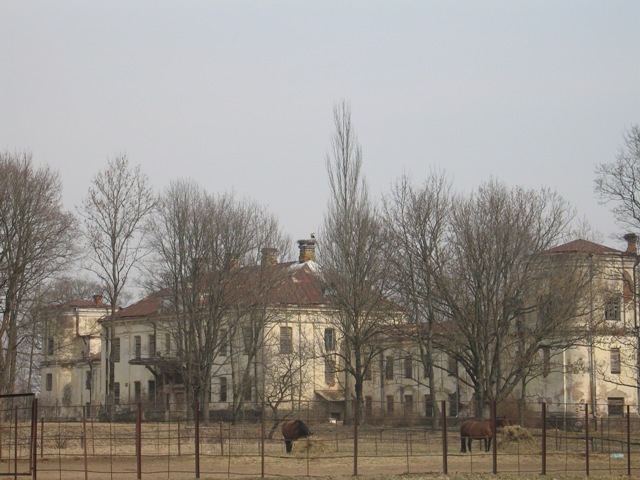 In older times, feudal property in the local surroundings was called Krevmuiža (in English - Krevi manor), possibly, the centre of the manor was called Kreve or , most likely, Krevi, because 4 km from Riebiņi, in a village, that is called Silajāņi, is located a Krevi messuage. In the mid-16th century, the ordermestre ("ordeņmestrs") Pletenbergs gave them over to Gerhards Rēbinders. Since 1600, Ribenišķi belonged to Korfi family. In the beginning of the 17th century, Korfi family built a Riebiņi manor in its current location, but there is a possibility, that Riebiņi manor was built in the end of 16th century by Rēbinderi family, but Korfi family only increased it in size. The manor later belonged to Reki family, then Veisenholfi family. A beautiful park was created in the wide yard of the castle, there also was a pool with a fountain. The officer of Polish court, Mihals Veisenholfs, added two similar side buildings to Korfi castle and two towers. One of the towers contained a chapel, another had a library. In the yard of the castle were to one-storey buildings in fron of each other. The left building was called "orchestra house", because that is where the musicians of the castle lived, the right building was called "oficina", which served as a kitchen and storage place. Riebiņi castle, apart from its large library, that was developed by its many inhabitants, also had a remarkable art collection and thus a painting and sculpture gallery was created. Many antique furnitures were found in the castle. Later on, the son Arnols of Mihails Veisenholfs (1874) sold it to a Polish engineer, S.V.Kerbedzs, whose family lived in the manor till the end of World War I. 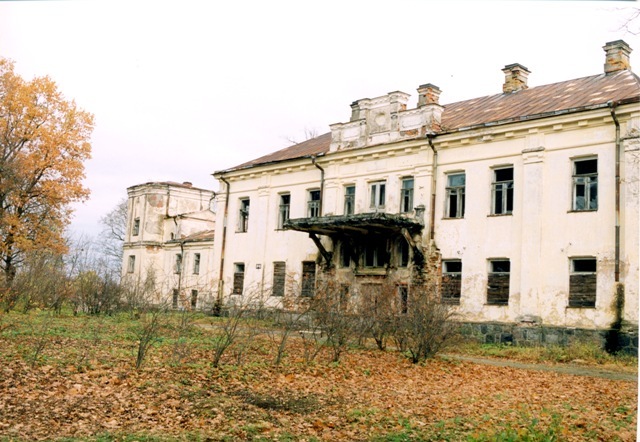 It's unknown what the state of the building was in 1874 when Kerbedzi began to live in it, who previously spent most of their life in Poland and other countries. When Jāzeps Veisenholfs visited Riebiņi in 1883, the castle was found to be empty. In the beginning of the 20th century, the castle was abandoned for a longer time, but it was reconstructed by Jevgenija Kerbedza, a well-known philantropist of the time, who gave the accommodations of the manor as a resting place for arists, writers and composers. After and invitation of J.Kerbedza, Riebiņi in 1904 were visited by an artist Konrāds Kržižanovskis (1872. – 1922.) with his students from Warsaw school. This is where his works "Billiard hall in Riebiņi" (1904), "Piano" (1905) were created. Together with his students he remained there in 1907 as well, when a painting "Winter studio with students" was created. The manor was a place of residence for the well-known Lithuanian painter and composer Nikolajs Konstantīns Čurļonis (1875. – 1911. ), who has said: "Riebiņi is a real artists' retreat". In 1918, due to agricultural reform, the central part of the manor was given to Silajāņi village council, that in 1920 created a Six-year-long Primary school that worked til 1979, after which the local kolhozs ("collective farm" in Soviet times) used it as a storage space.